Rose Justice is a young pilot with the Air Transport Auxiliary during the Second World War. 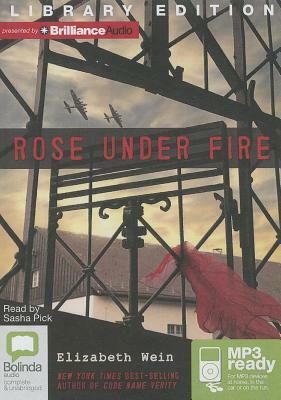 On her way back from a semi-secret flight in the waning days of the war, Rose is captured by the Germans and ends up in Ravensbruck, the notorious Nazi women's concentration camp. There, she meets an unforgettable group of women, including a once glamorous and celebrated French detective novelist; a resilient young girl who was a human guinea pig for Nazi doctors; and a female fighter pilot for the Soviet air force. These damaged women must bond together to help each other survive. In this companion volume to the critically acclaimed novel Code Name Verity, Elizabeth Wein continues to explore themes of friendship and loyalty, right and wrong, and unwavering bravery in the face of indescribable evil.